All professional cyclists take a short ride of 1 to 2hours as a part of their active recovery. Nevertheless, I guess most non-professionals would perform better without recovery rides. Eliminating recovery rides might be your key to more success. Recovery rides are often described as low intensity rides with <60% maximum heart rate using small gears only. These training sessions typical last 1to 2hours. Welltrained cyclists should consider a low intensity recovery ride the day after a hard race instead of a complete day without cycling. These rides does not require much recovery themselves and might actually improve your recovery from previous training sessions or races. That’s interesting, but we don’t know exactly how recovery rides impact on each individual. Some riders think it works, other riders don’t. An important issue: How good is your fitness? If you are in good condition, you are more likely to be among the riders who can benefit from these rides. What will happen if you skip recovery rides? Better recovery (maybe) – A common problem is that recovery rides are too long and intensive compared to actual fitness. Many riders will be surprised that recovery rides actually not help them the way they think/hope it helps them. Thus, skipping recovery rides may actually improve recovery process and make you more fit for the next training session. Better focus – Instead of training each and every day, having days off the bike is good for your motivation and helps you to maintain focus at your important training and race days. Better performance – When your legs are fresh and your brain is focused, you can train harder and deliver a higher performance. 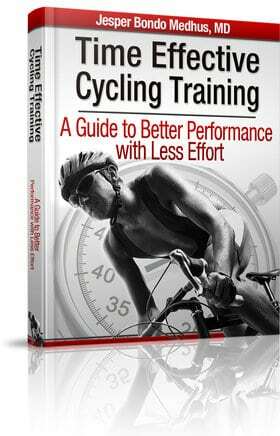 This will help you to achieve a higher level of performance and make you win more races. Remember, just because professionals and elite riders can benefit from 1 to 2hours training with low intensity doesn’t guarentee that the you can do the same. There is only one way to find out what works best for you. Trial and error. What works best for you? Recovery rides or not? Post a comment and share your experiences with the rest of us. I think I do better with a recovery ride, a real recovery ride though, 14 mph < 150 watts around 1 hour or less. I like to do them on the trainer so I don't get tempted to go to hard up hills or get enticed into chasing someone down. I've been to some team "recovery" rides where if I go back to them I will have to taper and go into fresh. I agree with you statements and think that “regular” (non-professional) cyclists like most people do not benefit from recovery rides with a duration of 1 – 2 hours. Some training goods recommend such recovery sessions for a maximum of 20min in the evening after hard trainings as well and I can say that this methode does not work with me and I do not feel as good the next day as I would have spent those 20min on the sofa watching TV. However I think that such recoery rides of let´s say 1 hour with an intensity of less than 60 % are worth and good for you between two days of hard intervalls. 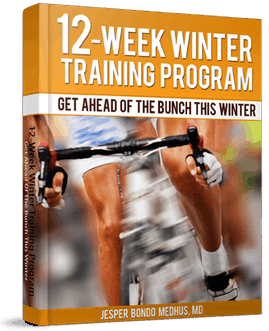 As an example I state your 12 week winter program: Hard intervalls are on tuesday and thursday with a GA1 (duration increases with time) ride on wednesday. I do better with a lower intensity on wednesday (less than 60 %) or even with that day off than performing 1 hour with an intensity within the GA1 area. I found out that quality and intensity is worth more than time spent on the bike. Therefore, focosing on the 2 days with intervalls and performing this rides with great focus makes me faster even with less time spent on the bike. Excited to hear more about that. Maybe a reduction in time would help? My belief, supported by my experience and the experience of those I coach, is that most riders go too hard on their “easy” days, meaning recovery days, and therefore use vital energy that prevents them from the quality they might otherwise do on their hard days. I have found that limiting my recovery days to 30-60 mins, at a higher cadence and lower resistance, has allowed me to perform more work of a higher quality on my hard days. As for heart rate, I stay below Zone 1 and usually will do recovery rides alone to avoid being tempted to go harder than I choose. With regard to training in the rain: If you will be racing in the rain you will benefit by training in the rain, because you will learn some of the differences between the two conditions, and will develop the confidence and mental advantage to be less affected by the rain when you race. That being said, if you train in the rain, I recommend you ensure that you keep your core warm and especially protect your legs and knees. I strongly recommend having your knees covered in temps below 20 deg C.
When training, the use of distance is not a very good indicator. For example, if I ride a long descent for say 30 minutes, perhaps pedaling not too hard, I might easily cover 25 km. If I turn around after the 25 km descent and ride back to the start it will take be much longer, therefore using distance can be misleading. The same occurs with wind conditions or terrain. 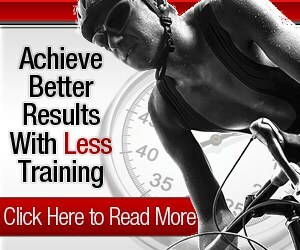 Time is a better measure for training, but still lacks unless the time also speaks to intensity. And intensity can be misleading as 50 km that contains say 5 intervals of 6-8 minutes, with full recovery between each, is a much different training load than 50 km of steady state endurance. Perhaps the optimum is a combination of time, intensity, and volume of work. If you train with power you might for instance do an endurance workout of say two hours at 200W with an average heart equal to 70% of threshold heart rate, and do 1500 kJoules of work (approximately). But back to your question of distance vs time-time is a more valuable metric. I like riding really easy on my recovery days because I love riding the bike. I think it is important to wear a heart rate monitor. I keep my heart rate below 120 on these days and limit the ride to 90 mins. This may be a little long, but if it’s sunny out, I am catching rays! 1-2 hours recover rides is only for well-trained riders . if you’re a beginner or perhaps a long distance cyclist , 15 to 30 minutes recovery rides is more make sense than 1-2 hours recovery rides . I prefer to rest instead of recovery rides since I have troubles to keep weight. If I didn’t had this trouble I would prefer recovery rides since I think active recovery is better for the muscles.